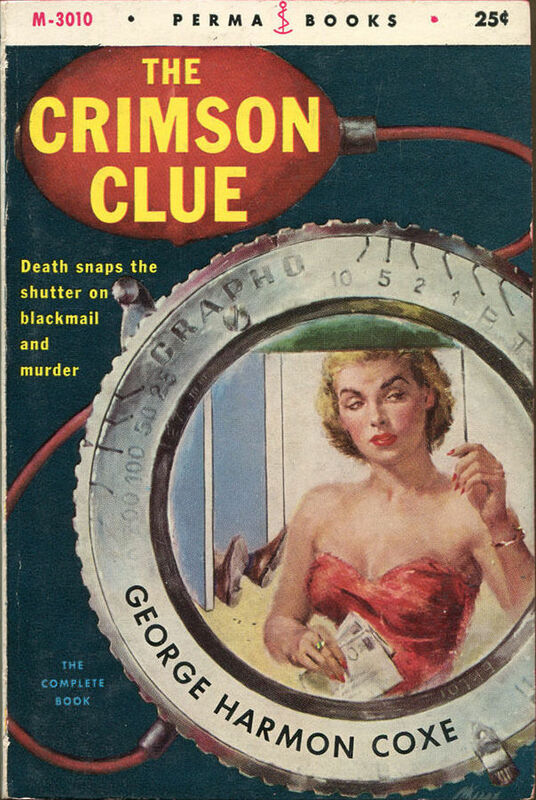 Don’t go thinking I decided to have a second Cocktail Talk from George Harmon Coxe’s The Crimson Clue because of the rhyme between “clue” and “two,” though admittedly that’s a bonus. But this 50s Kent Murdock (news photographer by day, murder solver by night)-starring read had too many Cocktail Talk moments to not highlight another one. Oh, if you missed The Crimson Clue, Part I, where I talk a bit more about the book, and have another nice quote, then I suggest trotting back in time to catch up. Caught up? Nice. That means you probably need a drink, and if you’re tired of bubbly like our man Kent, then the below will fit you like good shoes. Elliott called to a passing waiter, asking him to bring two Scotch and sodas to the library.” Mostly Scotch,” he added. 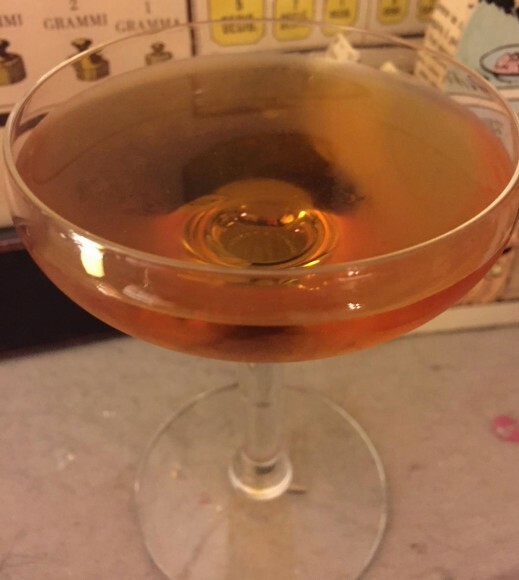 Tags: Cocktail Talk, George Harmon Coxe, Scotch, The Crimson Clue Part II, Then how about a real drink? Sometimes, I like to throw ol’ summer a curve ball. Summer, sitting there all hot and sunny and thinking, “I know all the drinks A.J. 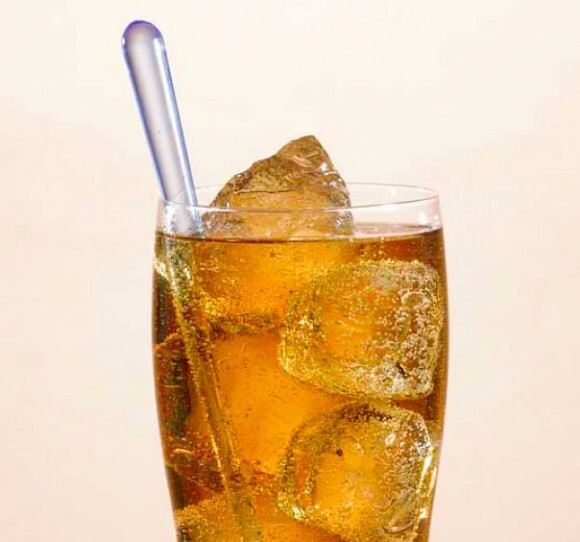 might make – he’s got nothing on me.” Well, summer, old sweaty pal, let me introduce you to the Foppa, a summer drink (I think it works as one, at least) that uses, you’ll never guess what. C’mon summer, guess! Ah, you’ll never get it – it uses Scotch! Really, and amaretto, and dry vermouth – that sounds like a serious, un-summer cocktail, right? But then, boom, ginger ale, a bunch of ice, and we have ourselves a summer cocktail with Scotch. I guess even summer can learn some new tricks. And you can, too! 1. Fill a highball glass three-quarters full with ice cubes. Add the Scotch, amaretto, and vermouth. Stir with a long spoon. 2. Top the glass off with ginger ale. Stir again. I’ve had a few cocktails on the Spiked Punch already featuring awesome Ardbeg Scotches – heck, if you haven’t seen them, you should check them out. Recently (I guess I was born under a lucky star!) I received one of their newest numbers in the mail, the mysteriously named Ardbeg An Oa. Named after the Mull of Oa, a very dramatic point on the cliffy pinnacle of Oa on Islay – where Ardbeg is as well – An Oa is a little dramatic, too, in that it’s spent time in the new Ardbeg Gathering Vat which boasts whiskies from multiple casks – sherry, virgin charred oak, ex-bourbon – all hanging out. There has to be some drama, right? Of the best kind, as is obvious in the end result here, a Scotch that’s an approachable sipper with a fair amount of smoky and peatiness, but also sweetness on the nose and taste, as well as citrus and spice in the former, and black tea, chocolate, citrus, and a savoryness in the latter. Overall, a great Scotch, solo or over ice. But also one I had to try in cocktails (‘natch)! But what to pair it with? I wanted an end result that had some umph and retained the Scotch’s personality, but also with a few other notes and notices. After trying a little of this, and a little of that, went with just two more pals from hither and thither. Starting with Cynar, the legendary Italian artichoke liqueur, which is now much more available and renowned (as it should be) than the first time I had it, thanks to the herbal and slightly sweet taste that goes well before and after dinner and in cocktails. The third ingredient is lesser known, Sásta, a tea-based liqueur from Four Leaf Spirits, based right outside of Seattle. Might not be the easiest to get right now if you’re not in WA, but hey, come visit! Sásta is well worth the trip, with a citrus, mint, chamomile, and rooibos tea combo built over a cane spirit base and local honey. This liqueur isn’t that sweet, carries a bit of a kick, and has layers of orange, spice, and herbal moments. The above trio delivers a cocktail with lots of umph, smokiness, and a ridiculous amount of flavors. Not one to throw back, but one to let linger on the tongue some, where those flavors can come on out to be noticed. 1. Fill a cocktail shaker halfway full with cracked ice. Add everything but the twist. Stir well. 2. 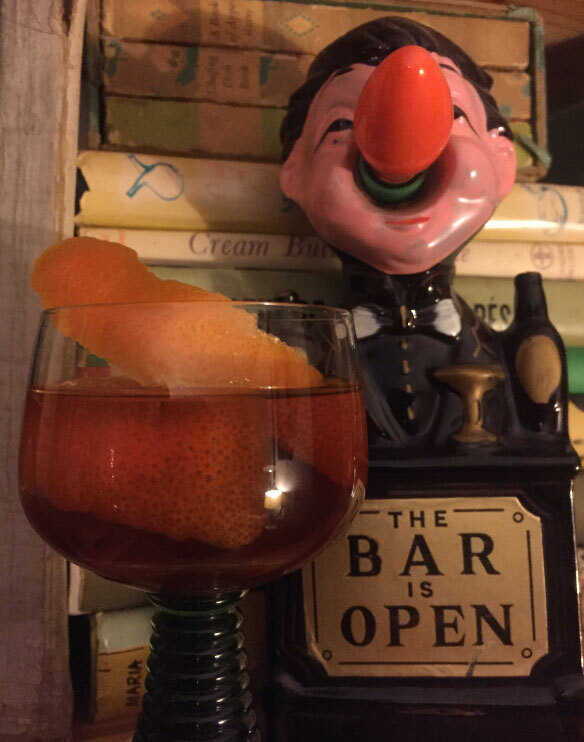 Strain into a cocktail glass, and garnish with the orange twist (notice there is no twist in the photo – well, I tried this without, and with, and the with was better, but I forgot to photo it). Here’s a super cool knowledge nugget I would like to drop on you. There’s a company that’s dedicated to producing Scotches that are modern interpretations of long-lost whisky. They are reincarnating, as they coin the phrase, in a delicious manner, these Scotches. 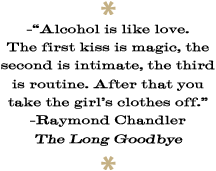 See, many distilleries had to close during the century previous to this one, due to things like prohibition, globalization, and other economic issues, and the founders of The Lost Distillery company decided that it would be tragic (and I agree!) for the whisky those distilleries were making to be lost forever. Now, they’re re-making the whisky, using blends, with a range that travels all five Scottish whisky regions. That’s super cool, right! I recently was able to taste their Benachie Scotch, which is called Jericho in other spots in the world, and which is based on whiskey made from the distillery of the same name, a Highland distillery that ran from 1824-1913 near the town of Insch (go read the full story). It’s a friendly dram, with an approachable malty, peaty nose that has a hint of sweetness, and a flavor that’s oaky and nutty, with some fruit accents and accommodating pepper and spice. A fine Scotch to bring back to life! And one I couldn’t resist using in a lesser-known number from days of yore called the Mickie Walker. 1. Fill a cocktail shaker halfway full with ice cubes. Add everything. Shake well. 2. Strain through a fine strainer into a cocktail glass. Don’t get lost while drinking. 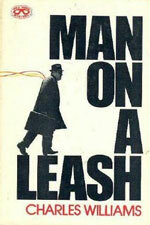 Just for fun recently, I re-read Charles Williams’ Man on a Leash. It might not have even been that long since I read it the first time – I know I had a Spiked Punch post about it not that long ago. Go read that so you can get some background. You back? Good. Anywho, decided to re-read it when in one of those Williams moods, and came across another quote, ideal for Cocktail Talk-ing. Check it out – bet you agree. “Vodka and tonic would be fine,” he said. 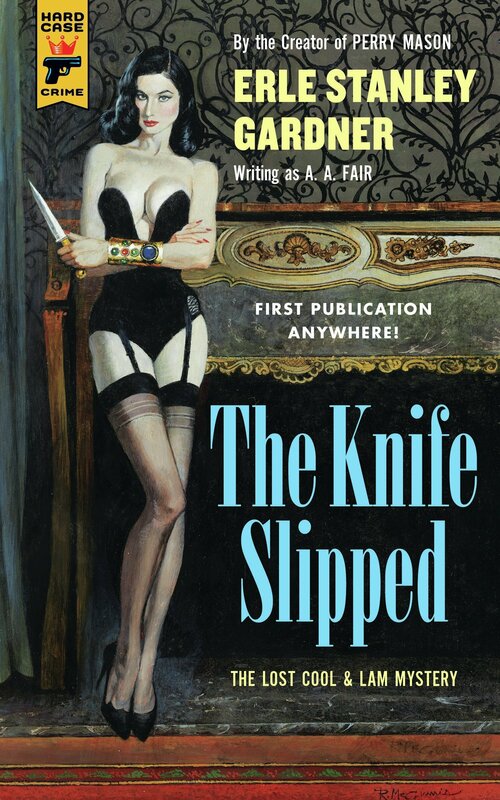 She began assembling the drinks, the old ebullience and blatant sexiness subdued now, though the simple sheath she wore was still overpowered by the figure that nothing would ever quite restrain. Her legs were bare, as usual. I was recently able to re-taste a tasty trio (they call it the Ultimate Range) of Ardbeg Scotch Whisky, 10, Corryvreckan, Uigeadail, thanks to a friendly postal person (how nice they sometimes are!) delivering them to my door. I could go deeply into a review of each one, but honestly there are many spots you can look at for reams (do people still use the word “reams” in this way in the digital age? I hope so) of words on these Scotches. Cause they’re delicious, and you should try all three. If not right now, then soon. However, even when I’m sipping such swell sippers, I always get the urge in the back of my throat or mind to try them in a cocktail – even when most would only have such swell sippers solo or with one dash of natural spring water, or maybe a small perfect ice cube. Call me crazy. You won’t be the first one. Here, I went with Corryvreckan. Its lush aroma (blackcurrant, cherry, vanilla, pine, and brine) and even lusher taste (more blackcurrants and other forest-y fruits, dark cherry, pepper, almonds, smoke, a hint of honey, an intriguing echo of the sea), just called to me. It could be the legendary and dangerous whirlpool it’s named after, too. Cause I am a sucker for a legendary whirlpool. With such a layered and memorable nature (and admittedly a price tag that’s not crazy, but not low end, either), I always want to be extra careful in what I mix it with, and want to let it really shine, just adding small amounts of ingredients that will accent and meld nicely. I decided first on Martini Gran Lusso Italian vermouth, 150th anniversary edition, which itself comes from a blend of Barbera and oak-aged Moscato, and which boasts rich fruit tones and a little sweetness. The only other ingredient is one I’ve wanted to slip into a cocktail for as long as I’ve had a bottle: Breckenridge Bitters. Made as you might expect in Breckenridge, CO, it isn’t a “bitters” in the traditional sense of the word, more an aperitif that uses local alpine herbs in a magical manner – it’s also a tiny bit sweet, but balances it beautifully with a bitter, herbal loveliness. It’s available in many spots now, and I strongly suggest it. That’s a powerful trio! And this cocktail is a powerful one – so full of flavor it’s hard to be believed. It’s a force of nature. Like whirlpools and mountains. 1. Fill a cocktail shaker or mixing glass halfway full with cracked ice. Add everything but the twist. Stir well. 2. 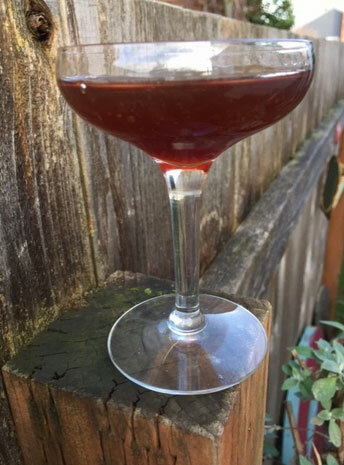 Strain into a cocktail glass, or something comparable and neat. Garnish with the twist. 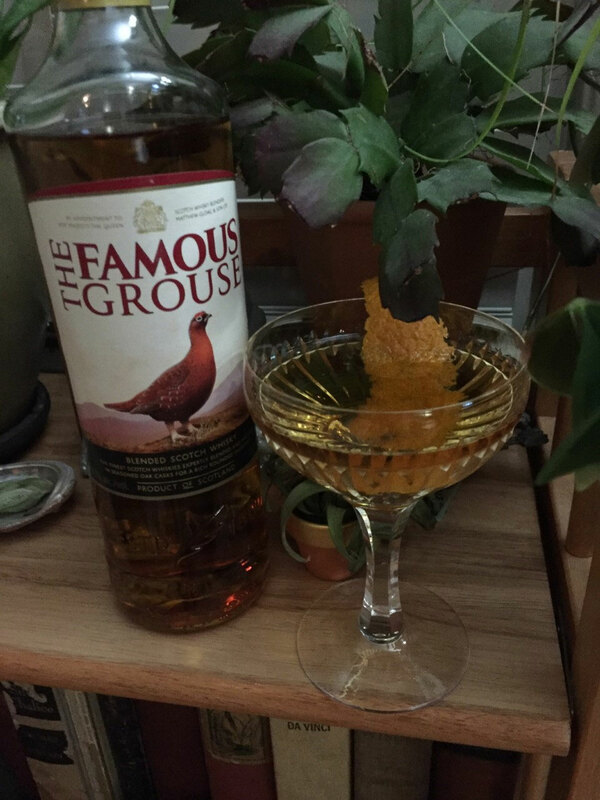 A Note: Is this close in nature to other Scotch cocktails, including perhaps the most famous of them all? Sure! But every good drink deserves its own good name, even if only one ingredient changes. Really, even if an amount of an ingredient changes. Be creative yo!